Spread the ham evenly over the layer of cheese. Sprinkle the Gruyere cheese, chives, and black pepper evenly over the ham. Pour the egg mixture over the contents in the pie plate. 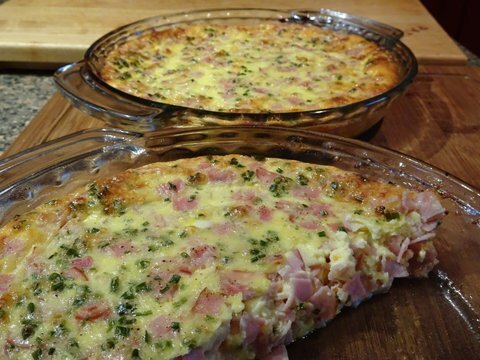 If necessary, spoon the egg mixture over any of the ham or cheese that is not covered.